As a designer, I often get asked to help with bathroom remodels. Often times, the ubiquitous dated bathroom needs a facelift. As was the case with a current 1980’s bathroom project I am currently working on. I met with the client who was eager to remodel a guest (kid’s) bathroom. Given her European background she was looking for a more streamlined sleek and clean contemporary designed bathroom. Coincidentally when I met with her she already selected a handful of Porcelanosa tiles and asked me to incorporate them into the design. 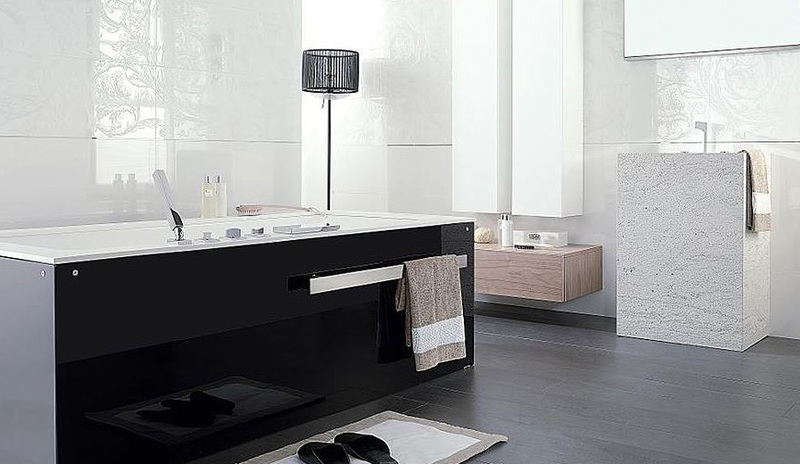 She liked the look and feel of Porcelanosa for its clean-lined styling and modern look. Due to budget, the client wasn’t looking to completely reconfigure the modest kid’s bathroom and wanted to keep the existing footprint intact. The impact would be a new vanity and new tiles for flooring and tub/shower walls. The client selected Porcelanosa samples which included the Glass Blanco for wall and the porcelain Aston Silver for the flooring. With all the Porcelanosa tiles selected, I proceeded with the remaining finishes and selections for the bathroom. 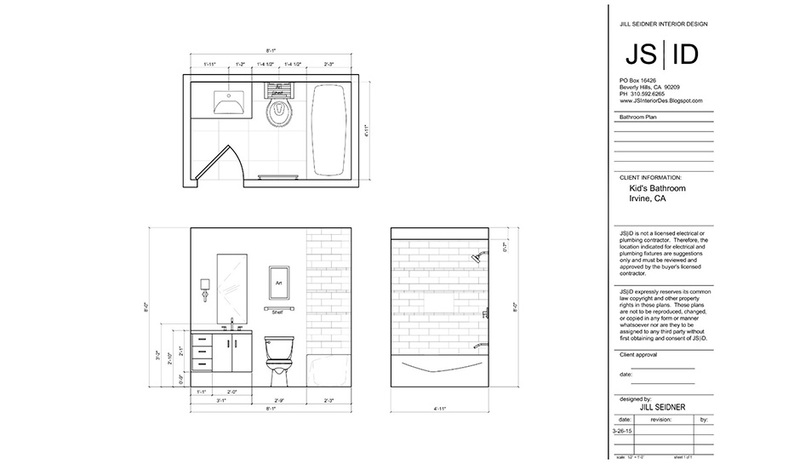 The next steps which are currently in the works include obtaining bids and purchasing the items to fill the bathroom. As with any room remodel, design planning and pulling together a concept board (or selections) are ideal in understanding how the materials will work together. I create concept boards for all my projects and consider it an exercise in experimentation. It’s fun to take materials and place them together and even a great idea when working with tiles or stones to play with color concepts, shapes, pattern, and sizes. I’ve discovered the tiles and mosaics from Porcelanosa are easy to download and add to my projects! I’m excited to partner with Porcelanosa and will be back next month for more home décor stories!